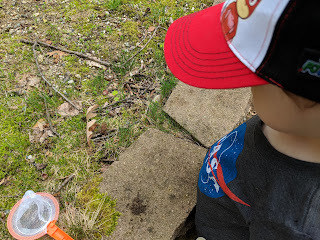 Despite the sprinkling this afternoon, we went out on a bug hunt. 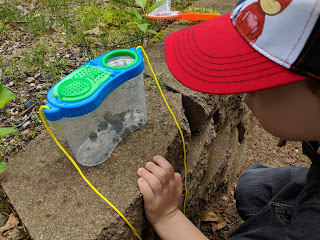 We didn't see any bugs but we did catch a little frog. And we promptly let it go off on it's merry way.